An antitrust food fight threatens to mess up America’s M&A boom. 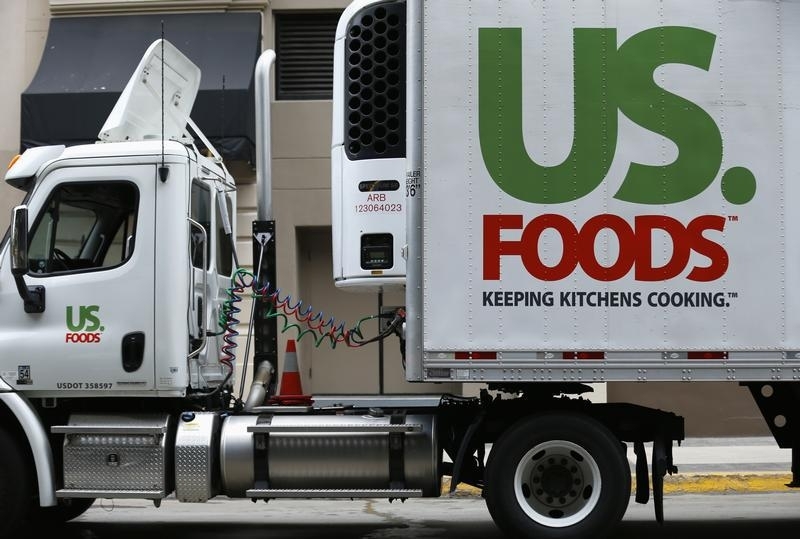 A U.S. federal court has at least temporarily halted Sysco’s $3.5 billion US Foods purchase, saying a merger between the nation’s largest food-service companies would probably harm competition despite the existence of some local rivals. A similar argument may quell other deals in the works, and one already in process: Staples’ $6.3 billion takeover of Office Depot. For now, the merger of the two biggest office supply chains looks like a financial winner. Staples and Office Depot said they expect annual cost savings of $1 billion by the third year after the stock-and-cash transaction closes. That’s worth about $6 billion to investors today, assuming a 35 percent tax rate. No wonder Office Depot shareholders approved the transaction on Friday. Trustbusters may be less enthusiastic, though. The companies are, respectively, the No. 1 and No. 2 brick-and-mortar retailers of office needs like printer cartridges, binders and, well, staples. The Federal Trade Commission had already nixed a proposed deal between them in 1997. Amazon and other online retailers have since snatched away consumer business, and the likes of Wal-Mart Stores offer cheaper offline options. That’s why the FTC approved Office Depot’s 2013 acquisition of OfficeMax without requiring store closures. More worrisome are nationwide businesses and government customers that make bulk purchases over several years in exchange for deep discounts. The merger could soften that competition. Amazon has a site catering to businesses, but sellers like Costco aren’t national distributors that can ensure the consistent delivery of products the way Staples-Office Depot could. A similar issue seems to have tripped up Sysco. It argued that merging with US Foods would reduce costs while stiff local competition would keep prices down. The FTC countered, however, that only those two companies could serve sprawling hotel and restaurant chains, and eliminating one would cut national competition. The regulator even refused to accept Sysco’s offer to sell distribution centers with nearly $5 billion in sales. The court’s reasons for blocking the deal pending further review won’t become entirely clear until it publicly releases its full opinion on Friday. Its brief order suggests the food transaction is a goner, though, and that Staples and Office Depot have a problem. The economics of their merger may still look tasty, but the legal precedent has soured. A U.S. district judge on June 23 ruled that Sysco’s $3.5 billion merger with US Foods should be stopped for further review. The decision could spell an end to the deal between the two largest U.S. food distributors, because the further review requested by the Federal Trade Commission is a lengthy process and few transactions can hold together during a full trial.